Visit us to discuss your patient needs. We are delighted to announce our participation at DUPHAT (Dubai International Pharmaceutical & Technology Conference & Exhibition). 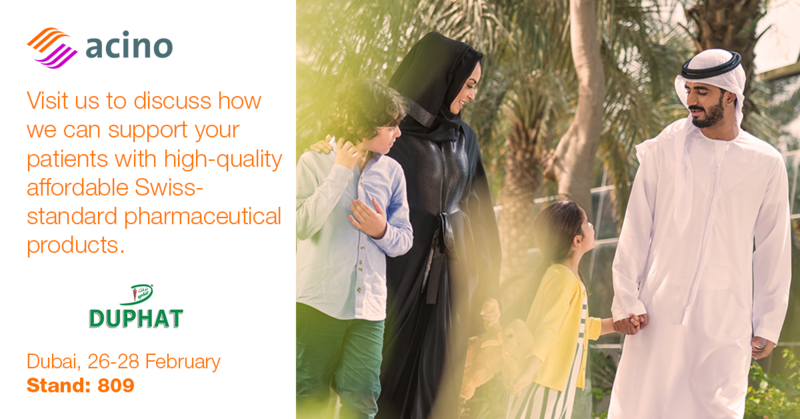 At our stand (809), our team is on hand to discuss your patient needs, and how we can support with high-quality, affordable Swiss-standard pharmaceutical products.